Manage Objects – An Excel-like tool where you can enter data values ​​or add formulas to individual cells. The Object Manager has a number of filtering, visualization and export functions. Manage Properties – Similar to the AutoCAD ‘Properties’ window (ctrl-1), but it displays only RailCOMPLETE object data. The Properties Manager allows you to view and change the most common data values ​​for one or more objects at a time. 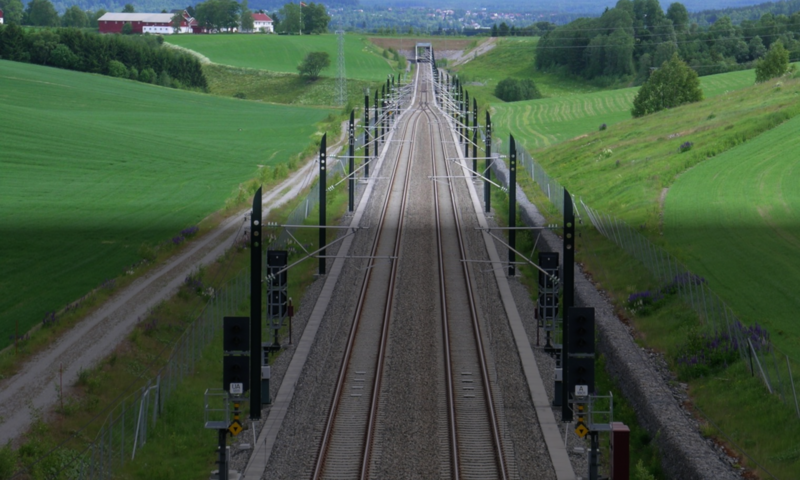 Manage Alignments – Allows you to view and change alignment data (tracks, roads, cables etc.) in a table style tool. Editing alignment geometry in the XY plane is done directly with the CAD cursor in AutoCAD modelspace, supplemented with commands for breaking, joining and reversing RailCOMPLETE alignments. Manage Stages Using Layer Names (*) – Enables you to easily turn on and off thousands of layers in the data model in order to visualize the different construction stages of your model – both in your own dwg file and in cross-referenced dwg files. Edit Properties – Allows you to focus on a specific object property at a time, for one or for several simultaneously selected objects. Edit Properties is very useful for ‘housekeeping’ of formulas. Edit Text Attributes – Allows you to change the visible texts of the objects in modelspace (i.e., what you see geographically on the computer screen when editing the model) – fonts, text heights, text positions, text orientation, etc. ‘Display’ utilities – Shows for instance sight lines or loading gauges based on data in the model as well as additional user input describing trains, load profile width, wheel spacing, visibility requirements, etc. Show executable paths on the network. Query Object (*) – Lets you focus on one or more objects and ask questions (using Lua) about data contained in the object(s), or data that can be reached by following the thread of relations from one object to another. Position – Shows you where you are relative to linear reference systems. You can lock yourself to a particular track, show your own alignment mileage or the current reference alignment mileage, etc. Show Relations – Shows you graphically which relationships exist between one or more selected objects and their related objects, such as track circuits, own alignment connection, coupled points, catenary mast sequence, etc. Show Layers (**) – Turns on/off single CAD system layers or groups of layers that contain RailCOMPLETE objects, or turns on/off layers internal to a RailCOMPLETE object 2D symbol, typically showing abstract properties for an object, such as the required metal-free area around a balise, or the display of Model Check Warnings and Error Messages around an object in modelspace as yellow or red dashed transparent lines, making it hassle-free to spot the objects that need your attention. See also Model Check. Tooltips (**) – Shows you derived (calculated) information such as distance between objects, ATC braking curves, 3D preview, model checks, relationships to other objects, etc. Tools marked with single asterisk (*) can be easily customized by yourself to suit your needs. The tools marked with double asterisk (**) are typically customized by your local RailCOMPLETE superuser. Object Manager is similar to Excel® in many ways. The drawing you work with (a DWG file), as well as all its cross-referenced DWG files, can together contain many thousands of RailCOMPLETE objects. These objects make up the rows and the columns of a large “BIM spreadsheet.” Each row of this BIM sheet represents one single object, while the columns contain the data values ​​for the objects. Columns may be turned on or off at will. Just as in Excel, you can type in formulas that automate the contents of a cell. This is for example used to automate object-specific texts with positions, track names, object names, etc.